The name Fujin is that of the god of wind. 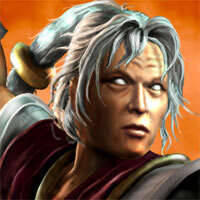 Fujin made his first chronological appearance in the spin-off game Mortal Kombat Mythologies: Sub Zero. He appeared here as one of the four guardians assigned by Raiden to protect Shinnok's amulet and was the first of the gods that the elder Sub-Zero bested in order to acquire it (he is seen being torn asunder by his own tornado, but survived the ordeal). He would remain inactive until the events of Mortal Kombat 4, being one of the few remaining Earthrealm gods not destroyed by Shinnok. 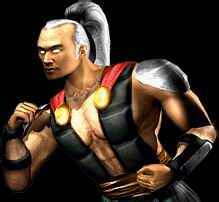 He joined Raiden in his battle against his old enemy, assisting the Earthrealm forces in emerging victorious. After Shinnok's defeat, Fujin consulted with the Elder Gods. They revealed to him that he had a new task. Raiden appeared before him and informed him of his own impending ascension to the pantheon of Elder Gods. Earthrealm would be in need of a new protector and Fujin was the one Raiden had chosen. Fujin accepted the position and promised Raiden that he would not fail him. 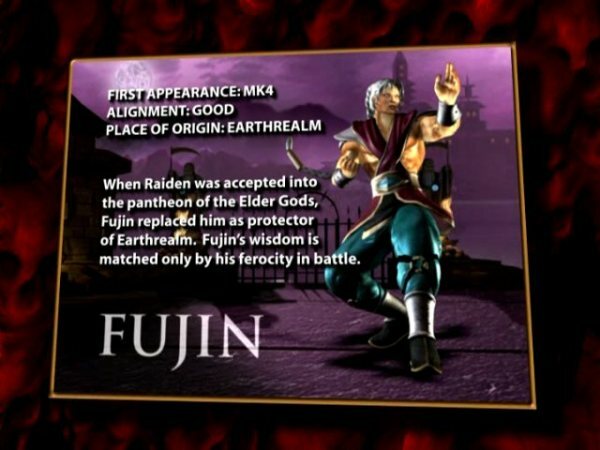 During the time of Mortal Kombat: Armageddon, Fujin became aware of a stark change in Raiden. He saw that the thunder god, while still seeking to protect Earthrealm, had grown to be ruthless. Raiden was now commanding the reanimated corpse of Liu Kang, who was killing many innocent people for unknown reasons. Fujin allied with Kung Lao in hopes that they could possibly find a way to save both Raiden and Liu Kang. From Kung Lao he learned of Johnny Cage's gathering of the Forces of Light and the mention of the brothers Taven and Daegon. It is revealed that Fujin had been a friend of their family for ages, and that he had questioned their father Argus when the two disappeared. He realizes that Argus placed them on a quest, but now this quest was becoming corrupted by evil. 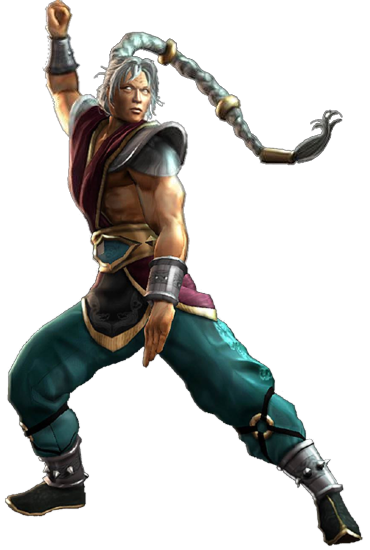 Fujin then goes to search for both brothers, hoping to prevent their progress and learn the true purpose of their quest. I thought Fujin was a pretty cool design when he debuted in MK4... hey, the dude had a freakin' laser gun! ...IN MORTAL KOMBAT!!! 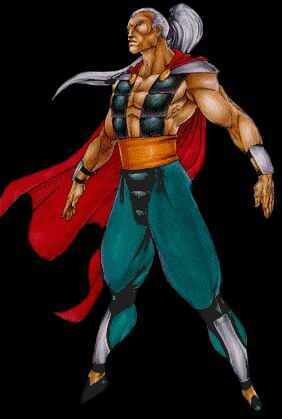 ^__^ That said, he was a pretty fun character to use in MK4. He also fit into the series quite well visually. His "rebirth" in MK: Armageddon actually wasn't terrible (one of the few... one of the few). Thankfully he didn't appear in too many games during the horrid 3D era of MK, so Midway didn't have a chance to ruin his design. (Ouch) He's one of the only other characters I would've liked to see in MK9.